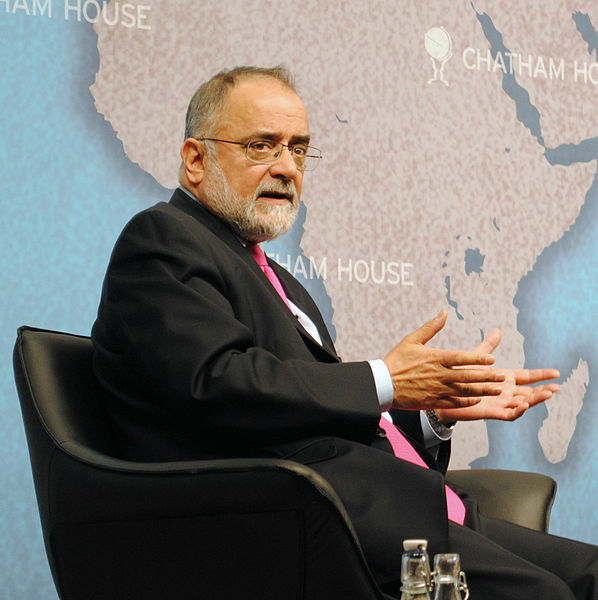 Since that time, Rashid has become one of the most respected voices on the conflict in Afghanistan, a position that was secured in part by his second book, “Descent into Chaos.” Despite being first published in 2008, it is still the definitive work on the geo-political roots of the conflict in Afghanistan. Much of the analysis he put forward at that time remains the accepted interpretation today. Rashid’s work benefits from the many years, indeed a lifetime, he has spent in the region interacting with he many actors involved in the in the conflict. This gives him insight that no foreign journalist, no matter how well connected or academically credentialed, can match. One of the key points he makes is that it is Western policy itself that has led us into a decades long conflict, not anything inherent in the situation itself. This is perhaps an unpopular opinion, but an important one for policy-makers to hear. The Taliban were swept from power in 2001 by a combination of Special Forces, airpower, and tribal militias with Western support. The speed with which the regime crumbled was indicative of how badly they had alienated the Afghan population through their policies of repression. This created a window for effective action. This was not to be, however. The United States quickly became distracted by the conflict in Iraq, and Afghanistan was largely left to languish. The crucial years from 2001 to 2006, when insurgent groups lacked the strength to conduct major operations, was squandered. After five years of empty promises, people once again turned to insurgent groups such as a resurgent Taliban in hopes of improving their lives. The production of opium, at historically low levels in 2001 and for the following few years, exploded in 2006 and has grown ever since. Violence across the country has increased year on year since then, and today the Taliban are once again operating in over 75% of the country. The very fact that the West is fighting the Taliban a second time, and losing, is an indictment of our policies of the past two decades. This second war against the Taliban was not necessary, if only winning the peace had been given the same consideration as toppling the regime in the first place.